Every day Bahá’ís repeat “Alláh’u’Abhá”, meaning “God is Most Glorious” in Arabic, 95 times. How we know that we’ve reached our 95th repetition varies among Bahá’ís, ideally we have a method that allows us to focus on the meaning of the invocation, rather than the numbers. It’s nearing midnight on day 18 of the #bahaiblogging challenge, and every post idea I have deserves some time being spent on it. I wondered what I could write a short post about and this topic sprung to mind. In the Kitáb-i-Aqdas, “The Most Holy Book”, which is the main book of laws revealed by Bahá’u’lláh, Bahá’ís are told to repeat Alláh’u’Abhá ninety-five times each day. The significance of this is worthy of its own post. Counting to 95 without finding the counting distracting is a challenge that is tackled in one of two manners. The first manner is to use something that does the counting for you, historically these would be prayer beads, although the more modern solution is to use an app, there are plenty of apps that are designed for the task, you just tap the screen with each repetition and the app will either vibrate or make a sound when you reach the magic number. 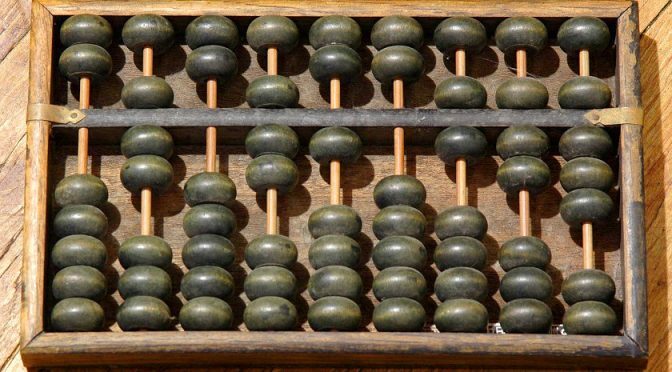 There are also some very good generic counting apps that can be set to any number and have more options to make the experience as unintrusive and/or accurate as possible. Prayer beads come in several configurations, you can get 95 beads on one string and just move one with each repetition, or you can get 19 beads of one size accompanied by 5 beads of another and use that configuration to count 5 lots of 19. There are other configurations too. I haven’t used prayer beads in a long time but I found the 95 beads on one string to be quite therapeutic, as well as simple, to use. 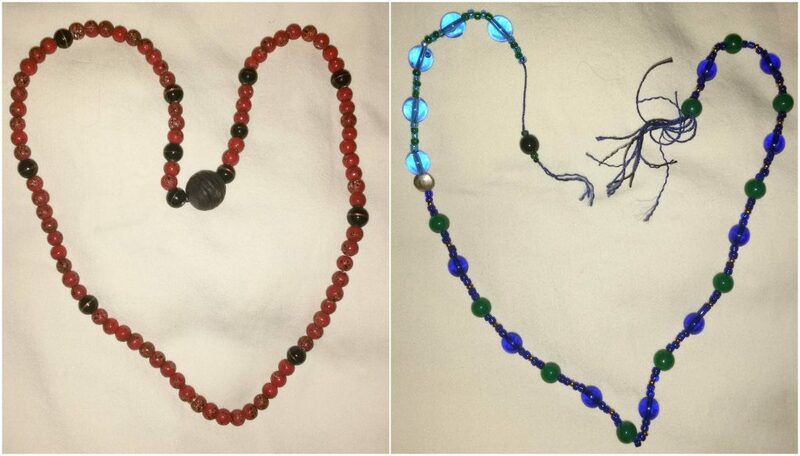 Two different configurations of prayer beads for counting to 95. The other manner of counting is to devise a method that uses your fingers. A significant percentage of Bahá’ís have worked out a way of doing this which they find incredibly easy and unintrusive. It is rare for Bahá’ís to discuss how they count 95 but those who use their fingers often assume that the others who use their fingers are using the same “obvious” method. In my experience of hearing and reading about people’s methods it seems that this is not the case at all, and in fact what works as a ridiculously simple method for one person comes across as being an overly complex and elaborate method to another. Many – but not all – of the methods I have heard about are based around the fact that 95 is divisible by 5, which is obviously the number of digits we have on each hand, but beyond this the number of hands and fingers involved in the process, and the method of proceeding, vary quite widely. I have even – recently – seen an illustration somebody had produced to accompany their description of how to count 95 on your hands. This is the manner in which I usually count, mainly because my system uses just one hand and, at least this far in my life, I have always had a hand with me. I do like using beads, and even a good app, but the extreme availability (touch wood) of my hands is just too, well, handy! Here’s another approach… the “auto” feature at this site (https://wondrous-badi.today/) is like a metronome that you can follow!